In Japan, children are taught from an early age about the wondrous powers of the teru teru bozu, which translates to shiny bald head (monk). While the tradition is well-practiced and well-known, many Japanese people remain unsure of the origins of the doll. Easily made from two squares of tissue or cloth, the doll is said to represent a monk’s bald head. It's made when fine weather, which would make its head shiny, is desired the following day. Traditionally, if the wish for clear skies was granted, the doll was rewarded with drawn-on eyes and a dousing of holy sake and then sent down the river to be washed away. 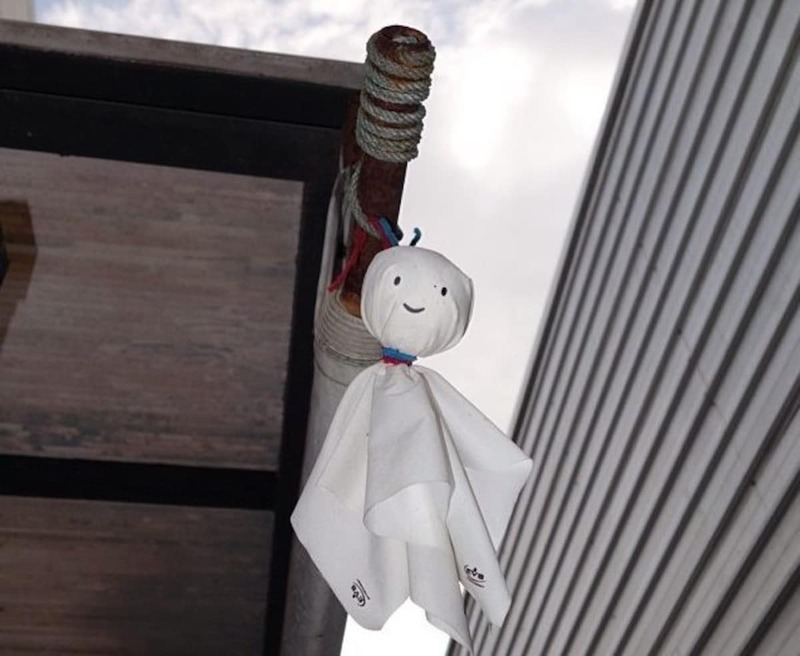 The origins of the teru teru bozu talisman remain vague, with some saying the dark lyrics towards the end of the popular song refer to a “Good Weather Monk,” who was able to bring fine weather with an incantation. However, after promising good weather to a feudal lord, the sunshine did not appear as promised and the monk’s head was chopped off as punishment. It’s said the monk’s head was then wrapped in cloth and hung outside to stop the rain and bring out the sun. A less horrifying theory suggests the talisman represents a yokai spirit from the mountains called Hiyoribo, who brings fine weather and can’t be seen on rainy days. 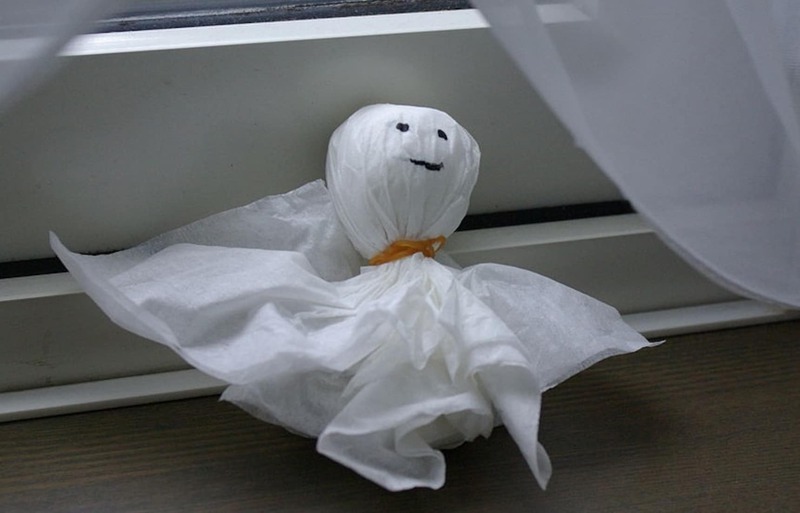 According to the Japan Weather Association, which runs the country’s popular tenki.jp weather app, the tradition of teru teru bozu spread to Japan from China during the Heian Period (794-1185) and can be traced back to a custom that suggests the person charged with invoking good weather was not a monk but a broom-carrying girl. As the story goes, during a time of heavy and continuous rainfall, a voice from the heavens warned the people that their city would be submerged if a certain beautiful young girl did not appear outside. To save people from the deluge, the girl was essentially sacrificed, sent outside with a broom to symbolically head to the heavens where she would sweep rain clouds from the sky. In order to remember the brave girl who brought clear skies, young ladies would recreate her figure in paper cut-outs, a skill in which the broom-carrying girl once excelled. These figures were then hung outside to bring sunshine in times of rain. Known as So-Chin-Nyan or Souseijou in Japanese, which literally means “sweeping fine weather girl,” the paper doll concept gradually took on a different face in Japan, eventually becoming the teru teru bozu we see today. This theory, which has the support of folk historians, sheds light on the origins of the weather talisman, which, with the rainy season still well underway, will be popping up outside windows and under rooftops around the country.